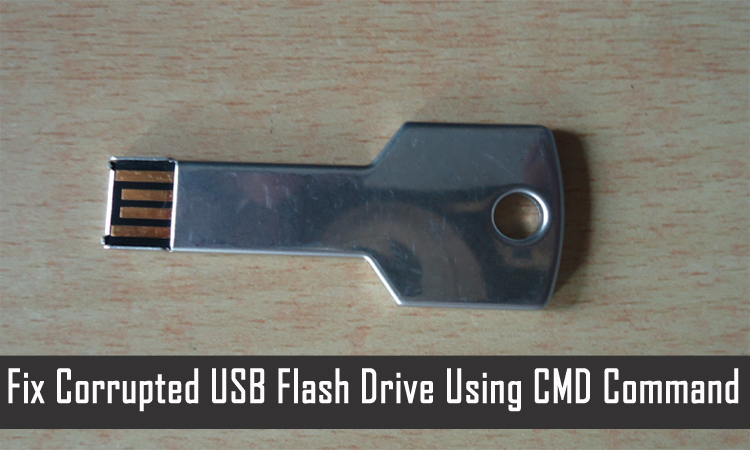 In this blog post I am going to provide effective solution to repair a corrupted flash drive using CMD (command prompt). If USB command is not your thing, then you can try other methods to fix corrupted USB drive. Also you can try USB flash drive recovery software to retrieve inaccessible, lost or deleted media files from corrupted or damaged USB flash drive. 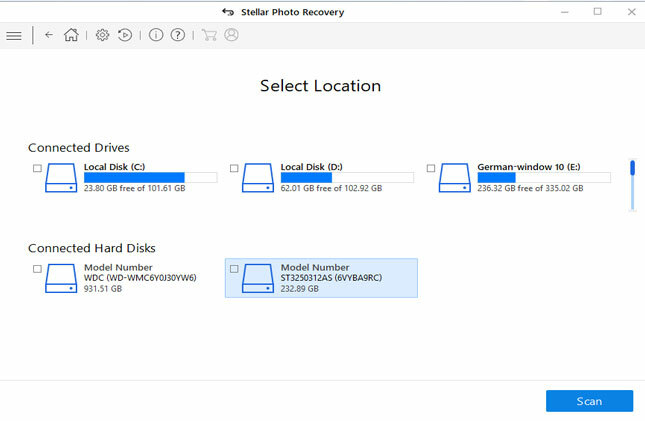 Before I provide the solution to fix a corrupted USB drive, it is important that you must first recover important photos, videos and audio files from the USB flash drive with the help of Photo Recovery which is a suitable USB file recovery tool. 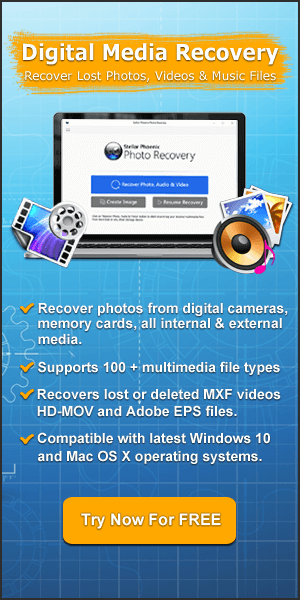 Easily get back inaccessible or lost pictures, videos and audio files from corrupted USB flash drive. 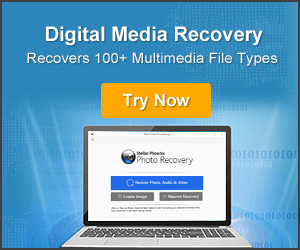 Recover digital media files from corrupted pen drive, SD card, memory stick, hard drive, camera card. Also retrieve media files from unreadable, damaged, write protected or unrecognized USB flash drive. Corrupted USB flash drive is an old age problem. Almost every computer users has faced this common problem. It doesn’t matter what you do, at some point of time, your computer will reject to read your USB drive. For example just have a look at below scenario! anyway i could fix it !!! But how USB flash drive gets corrupted? Well, there could be various causes that can make your USB flash drive corrupted or damaged. Some of the causes are mentioned-below! Connecting USB flash drive to multiple PCs or Mac. It doesn’t matter whatever may be the causes, there are few effective solution that you can follow to fix/repair corrupted USB flash drives. And one of the popular methods to fix corrupted flash drive is by using CMD command. So, here comes the solution section – how to repair a corrupted flash drive using CMD (command prompt)? The CMD command which is also known as command prompt is one of the high rated and successful solution to repair corrupted, not working, damaged or unrecognized flash drive, pen drive, SD card or hard drive. 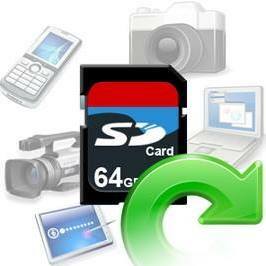 It can also be used to repair corrupted external hard drive, SSD or HDD with ease. Note: The solution work great on Windows 10/8/8.1/7 computer. Step 1: Connect the corrupted flash drive (pen drive, memory stick, SD card or external hard drive) to your Windows computer. Step 2: Click START and type CMD in search bar and hit ENTER to open command prompt. Alternatively you can also open command prompt by pressing Windows Key + R followed by typing CMD in the RUN box that pops-up. Type diskpart and hit ENTER button. After this type list disk and hit ENTER button. Step 4: Next, type select disk followed by the number of your disk and press ENTER button. After your disk get selected, type clean and press ENTER button. Step 5: Next type create partition primary and hit ENTER. 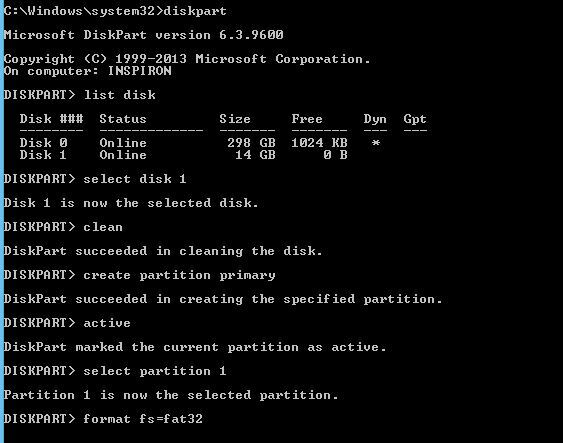 Step 6: After this type active and press ENTER followed by select partition 1. Step 7: Finally, in the last step type the following command format fs=fat32 and hit ENTER button. A screenshot of the process is given-below. After the completion of the process, you should find your USB drive working as good as new. Additional Reading: Solved]: Pen Drive Show Empty Even When Data Exists! Alternatively, there is another step to fix/repair corrupted USB flash drive using CHKDSK command. Step 1: Connect the corrupted flash drive to your PC. Step 2: On your computer click Start and type CMD in search bar and hit ENTER. Step 3: A new command prompt window will get open. 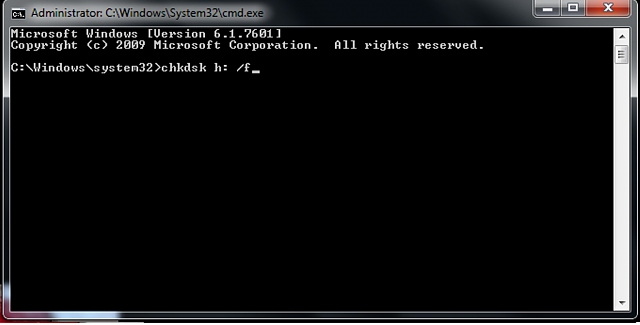 Step 4: Now type the following command: chkdsk /X /f H: or chkdsk H: /f and hit ENTER. Here you need to replace the H: drive with your corrupted pen drive/SD card/USB drive. Just wait for the process to get complete and then you should find your USB flash drive working as good as new. In following above solutions to fix corruption in USB drive, you may encounter data loss from your flash drive. 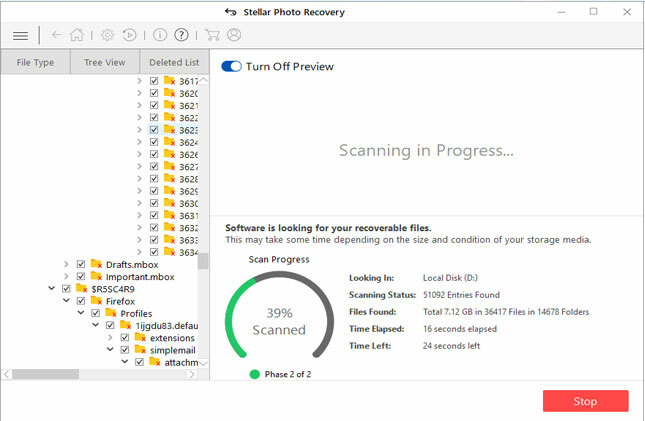 So, it is recommend that you must immediately apply Photo Recovery which is the best USB Flash Data Recovery Software that can easily recover lost or deleted photos, video and audio files from corrupted USB flash drives such as pen drive, memory stick, SD memory card, hard drive or any other USB storage devices. 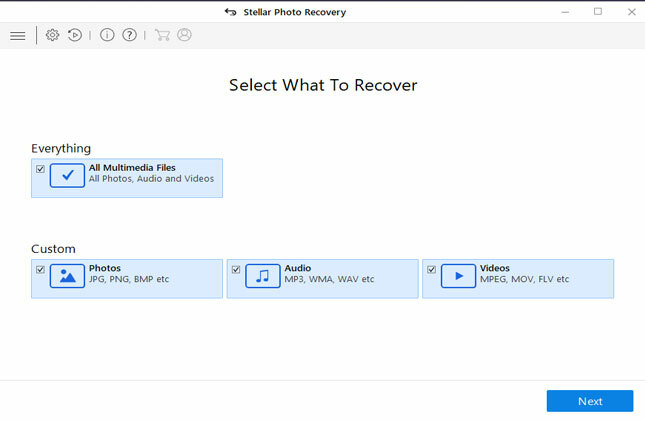 The best thing about this flash drive recovery software is that it is available for both Windows and Mac computer. Below follow the step-step tutorial on how to get back lost or inaccessible media files from corrupted or damaged USB flash drive. How can I repair my USB flash drive? Well, as mentioned above! You can follow the above command prompt (CMD) to repair corrupted USB flash drive, pen drive, SD memory card, memory sticks. On the other hand if you know that your USB flash got corrupted due to virus infection, then run anti-virus tool to scan your corrupted flash drive. For detail information please visit: Learn To Remove Virus From SD Card Without Formatting It (though it is mentioned SD card but you can follow the same solution to remove virus from your virus-infected USB drive). Many USB drive, memory stick, pen drive, SD card come with the feature of write-protection. But sometimes it creates problems and when it create problem then users are not able to able to access files from write-protected USB flash drive, SD card, pen drive, ec. How do you fix an unrecognized USB? Well, there are also many users out there, whose USB drive does not get detected or does not get recognized by computer. At such situation they look for the solution on how to fix an unrecognized USB drive? Well, if your USB drive, pen drive, SD card or external hard drive does not get recognized by your computer, then please follow the related links mentioned-below and find out the best solution for your problems and get fixed your unrecognized USB/SD card or pen drive. So I hope form the above-mentioned solutions you were able to fix or repair a corrupted flash drive by using CMD or CHKDSK command prompt. 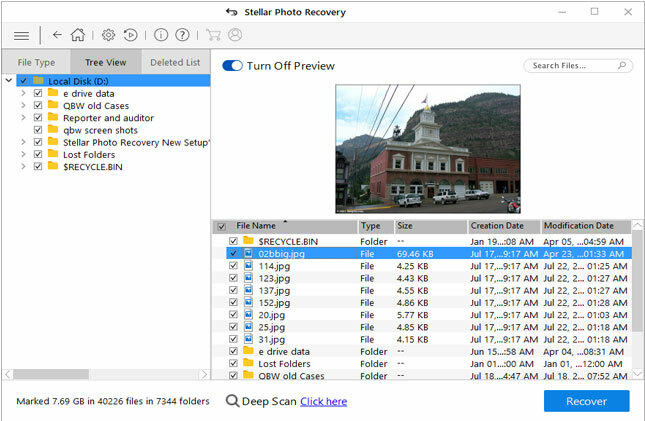 Beside that you can also use USB File Recovery Tool to recover digital media files from corrupt or damaged USB flash drive. Additionally, don’t forget to check out bonus tip section to know the related USB flash drive issues and their solutions.